CLAYTON, Mo. - A drug case involving an arrest made by the Ferguson police officer who killed an unarmed 18-year-old in a separate incident is on hold while a grand jury reviews the shooting. 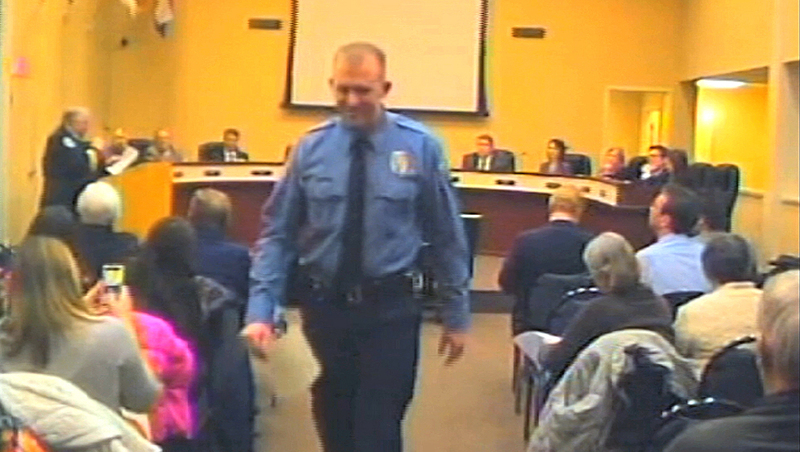 A judge approved a request by prosecutors Monday to send the drug case involving the arrest by officer Darren Wilson to a St. Louis County grand jury. But a spokesman for Prosecuting Attorney Robert McCulloch later said that the case is "on hold" until Wilson's status is resolved. Spokesman Ed Magee called the move standard procedure in cases where police officers are not immediately available to testify in court. A lawyer for Christopher Brooks alleges Wilson "roughed up" his client after Brooks refused to hand over the keys to a locked car parked in his grandmother's driveway, where police say they found drug paraphernalia and several ounces of pot. Defense attorney Nick Zotos wants the drug distribution charge dismissed because he doesn't expect Wilson, who didn't attend the preliminary hearing, to show up in court. "Wilson is compromised as a witness," said Zotos, who opposed the initial request by McCulloch's office to shift the drug case to a panel that meets behind closed doors. It wasn't clear whether Brooks made the allegation against Wilson before or after Brown was killed. A police union attorney who has spent decades representing members of law enforcement in court told The Associated Press on Monday that he represents Wilson, who is under investigation by another grand jury over whether he used excessive force in the Aug. 9 shooting death of Michael Brown. James P. Towey, general counsel for the Missouri Fraternal Order of Police and a former general counsel for the St. Louis Police Officers Association, said Wilson may be willing to publicly discuss the case in the future. He declined to provide details of the whereabouts of Wilson, who has gone into hiding since Brown's death. Wilson, 28, received a Ferguson City Council commendation in February for his role in Brooks' arrest one year earlier. Zotos questioned whether the honor was merited. "We give trophies every day for just showing up," he said after the brief hearing in St. Louis Circuit Court. "If you play on the team, you get a trophy." The grand jury is reviewing evidence in Brown's death to determine whether Wilson should face criminal charges in the shooting that led to violent protests, hundreds of arrests, the summoning of the Missouri National Guard for security and international attention. McCulloch has said he expects that grand jury to complete its work by mid-October or early November, though its term has been extended until January. The assistant prosecutor, who did not identify himself in court, did not indicate during the hearing why the county wants to shift the case to the grand jury. Magee did not provide a reason but said it didn't involve an effort to prevent information about Wilson from being publicly disclosed.